Before we look at some 'add value' SEO tips, let's take a look at SEO and what it is. 'SEO' or 'Search Engine Optimization' is an ever evolving quandary. You can't beat it. The best you can do is keep up what works today. It requires frequent analysis to keep up with changing Search Engine algorithms. It's not a one off exercise as what works today, might not work tomorrow. On a related subject, see my guide on common SEO mistakes. This guide will go through the top 10 SEO tips that will help increase the presence of your website within the Search Engines. For those just starting out, my beginners SEO guide might be of use. When we talk SEO, there are two key elements. Firstly there is 'On Page' SEO' and then their is 'Off Page SEO'. The difference is simple. 'On Page' refers to changes (improvements) or tweaks you make to your physical web page to improve how a page performs against specific keywords within the SERPS. This could be tweaks to the text, the number of keywords on the page, the code, your link structure or any other feature that is under your control. 'Off page' optimization is really everything that is left . The elements that are not controlled on the physical page. An example of an important Off Page element would be your inbound links, built through your link building exploits - see my guide on link building and why it's important. Even though the algorithm changes regularly, there are some key principles that are and continue to be important in a sites success. This article will outline some fundamental SEO tips that if applied, will act as a catalyst for increased traffic, which will likely equate into better revenue streams. There is a popular saying in the SEO world - 'Content is King'. It was Bill Gates who first said this back in 1996, when Yahoo was on the top of the world and Google was getting started. Oh how times have changed. a) Descriptive title tags using your keywords - I have seen many sites go wrong not following this advice. If your site is called Brodox.com and you trade beauty products & toiletries, you want to have more than 'Brodox.com' in your title tags. You should be looking for something along the lines of 'Brodox - Beauty Products & toiletries'. d) Make sure your Meta tags are defined well - Don't stuff your Meta keywords with too many keywords. Choose your top 3 or 4 keywords or keyword phrases and detail them in the order they appear on the main body of the page. Your meta description should be descriptive also and should contain your main keywords. Have a look at the top performing sites and see what they're doing. Keyword research is an important part of your SEO strategy. Using the wrong keywords either makes it more difficult to rank for you chosen keyword or doesn't bring in the right traffic. Find out how competitive they are, .i.e. how easily you will be able to bring in traffic. Make sure you understand between buyer keywords and keywords that are likely to bring in those that are just interested in having a look. If you have something to sell, this is of the utmost importance. After all, it's sales which quantify how successful your business is ultimately going to be. If you sell arm chairs, whilst you could go for the keywords such as 'Arm Chairs', there is likely a lot of competition, first and foremost. Second to that, you will likely attract visitors just taking a look and not interested in buying. Using keywords like 'Buy Arm Chairs' or 'Cheap Arm Chairs' or Free delivery on Arm Chairs', you will be getting in those who are more likely looking to buy. Additionally, the more words you use in your keyword phrase, the less competition there will be. Understanding what people are searching for is key. Don't presume to know and don't think that just because you would type something in, that everyone else would search the same way. It is a lot tougher to backtrack once your site is live. Validate your assumptions. Keep in mind that the more words you use as a key-phrase, the less competition there is. For example 'Arm Chairs' will be more competitive than 'Affordable Arm Chairs'. Adding another word, such as 'Affordable Reclining Arm Chairs' will have still less competition. Don't be narrow minded. Using sites like Wordtracker.com will show you what people are typing into the search. Don't be blinded by big numbers. The key term 'Arm Chairs' has 74,000 Global monthly searches on Google. 'Affordable Arm Chairs' has 28 Monthly searches and is far less competitive (it is easier to hit page 1). Is it better to be on the 5th page for 'Arm Chairs' which will likely bring you a fraction of the total 74,000 searches or the first page for 'Affordable Arm Chairs' which will give you a percentage of the 28? Keep in mind that the traffic you do bring in on page 5 will likely be competitors and not those looking to buy. Building links to your website is one of the most important things you can do. Keep backlinks as relevant as possible. 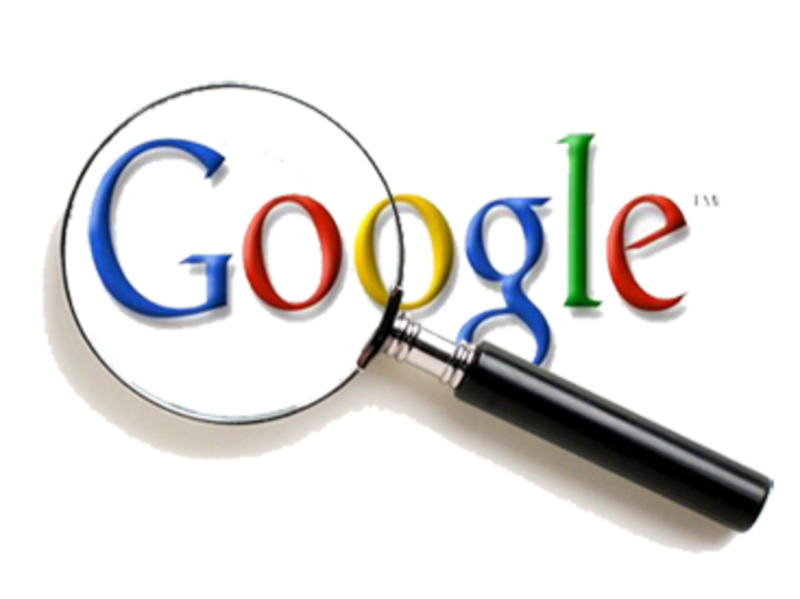 Focusing on Google, as it commands the most traffic - type your keywords into the search. The results that come up (ignore the sponsored links - they pay to be there:) are the sites you want back links from. The closer to the top of the results, the more relevant the link is (in the eyes of the Search Engines - which is what counts!). You can build links a number of ways. You can do exchanges (focus on 3-way linking and not reciprocal) with other websites or get links on blogs, forum posts, social media websites, directories - the list is long. You can also buy advertising space or text links which act as 1 way links. The benefit of targeting 1-way links is that it looks like the site is linking to you out of merit and not because there is an agreement between the 2 sites. Do a little research and attack from all angles. It is also important to get links from the main body and not from sponsored links sections. 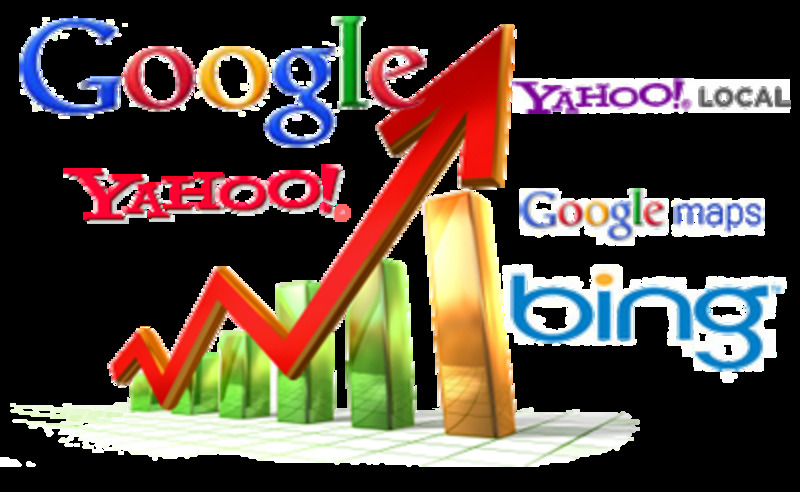 Search engines give more weight (importance) to these links. 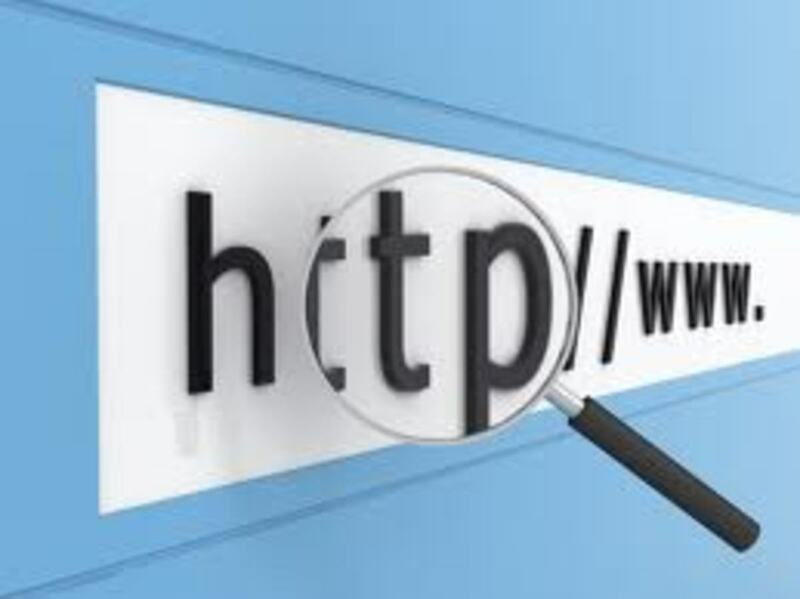 You should also look to deep link - .i.e don't have all your back links coming into to your home page. Build back links to your key sub pages also. This will help to build your deep page scores and these pages, once they start ranking, add weight to your home page rankings. Use a good tool to keep a track of your links to make sure partners don't take down your links or move them to a page that offers less value (without your notice). This is an important one. Don't use the same anchor text in all your backlinks, as many of the search engines, particularly Google, may penalize you for this. Use different variations of the same keyword or keyword phrase. Have 4 or 5 different combinations / variations and rotate them. If you want to be precise, use SEO analysis software to analyse all the back links to your competitors (top 5 positions) and see how much they are varying there keywords. For example, as i said in one of my previous articles, i run a number of poker websites. Let's assume that i want to rank for the key term 'Online Poker'. i would analyse the top 5 sites (i use SEO Elite to do this) and see the number of times they use the words 'Online' and 'Poker' across all their backlinks. What i get is a % of the total on each keyword. So one of my competitors might use the word 'Online' in 70% of their total links and 'Poker' in 85% of their links. Do this for the top 5 and you get an indication as to what the optimum variation level is. Now check yours and see what changes you need to make. Don't re-invent the wheel - undertake the analysis and see what is working on sites that are at the top of the SERPS (Search Engine Results). The results are all there. It's up to you to understand what that means for you and make the necessary adjustments to your site. SEO tip #6 - Don't ignore the social media revolution! Social media has grown to a massive degree over the past 3 or 4 years. Ignore it and you are missing out on a huge opportunity. Whether it's Facebook, Linkedin, Digg, Twitter, Youtube or any other site, you should be looking to raise your brand awareness across them all. You will not only raise awareness, but also bring in traffic to your site. Most of the these sites allow you to add widgets to your site to allow users to cast votes on your content. Again, great content will command greater votes, which ultimately will lead to greater traffic. Link structure is important for a number of key reasons. First of all, it is important that your visitors can find what they are looking for, and a logical and easy to follow navigation will help them to do just that. Equally as important is having a good linking structure to help the Search Engine spiders from indexing every page on your site. There are an overwhelming number of webmasters that query why only certain pages have been indexed. A bad / disorganized linking structure is usually one of the key attributes behind this (along with the omission of a site map and robots.txt file - this is covered next). You want to have all your key web pages linked to from every page on your site. This helps optimize internally through building link popularity for these pages. Use the keywords in the anchor text that you are looking to rank for on the target page. For example, don't use the word 'Home' in your navigation. If your site is about Computers, use 'Computers' or 'Best Computer Buys' as this optimizes your home page for these keywords. You should also look to have relevant articles posted across sections on your site. If you have a section on 'Poker Tournaments', create a number of articles on 'Poker Tournaments' that relate to that section alone. This increases internal link relevancy and helps boost your SEO. Remember if you have one page about a topic across a large site, the Search Engines will see it as a standalone page. Build 100 articles on the same topic (and interlink them) and you will be given more relevancy kudos! This helps the Search Engine bots index your entire site. It sits in the root directory on your server and tells the bot which pages to index and which to ignore. It is important to make sure that the file is formatted correctly or you may mistakenly stop a page from being indexed. Stay secure - there are spamming bots that collect data and don't pay attention to a Robots.txt file. If you have sensitive information (eg email addresses or customer details), put it in a secure directory. The ALT text is the text that is describes to the search engine what your graphic is about. Notice the naming convention of the graphic. It is using our keywords, which helps optimize our page. That said - do not overdo it. It needs to be natural. After all, if your page is about arm chairs, it makes sense the images will be relevant. b) The less code on the page the better. There are ways of reducing the code on the page. For example, you can bold a word by adding <strong>This word bolded</strong>. It can also be written as <b>This word bolded</b>. Programs like Dreamweaver bold using the STRONG tags, which can be improved by using the 'b' tag. Note that the only reason this hasn't been done in this article is that Hubpages don't allow the <b> tag! 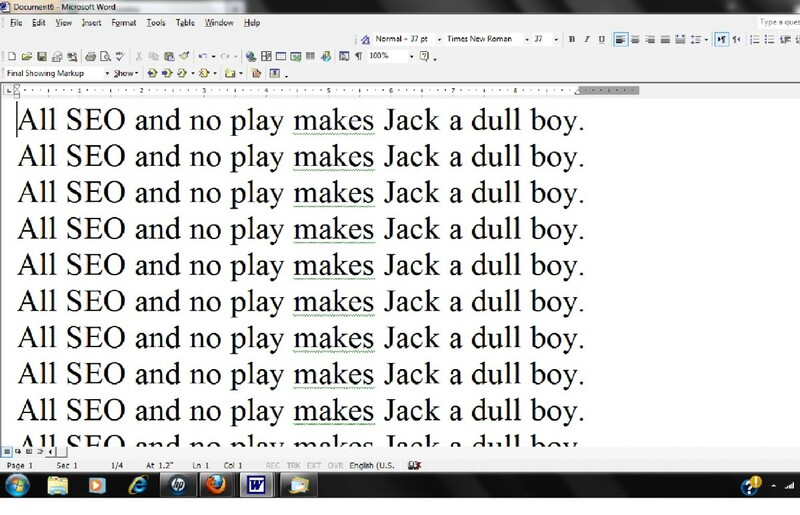 There are many other examples of ways you can reduce the text on the page. CSS achieves this to a far greater extent as things like graphics are not embedded on the page. This also helps reduce load time. e) Putting emphasis on your keywords - this can be done by bolding, underlining or having keywords in italics. Best done at the top of your page. This simply places emphasis on the importance of the keyword in relation to your article. If you are just starting out online and are looking to buy a domain name, see my guide on buying the right domain name. The work is tedious but it definitely pays off in the long run! The post is awesome. Liked the way it has been explained. @alifeofdesign - kind words and many thanks for your support. Was very pleasing to get the Hubnugget. I hope the guide serves well - ;) Also so sorry for late reply on comments. @thedigger - thanks for the comments and good luck with your SEO when you start. No matter how much I read regarding SEo, I still learn something new. I agree - this is an extremely thorough hub. You detailed so many helpful tips, I've decided to keep this hub on my desktop to re-read again! I'd also like to congratulate you on your Hubnugget nomination. 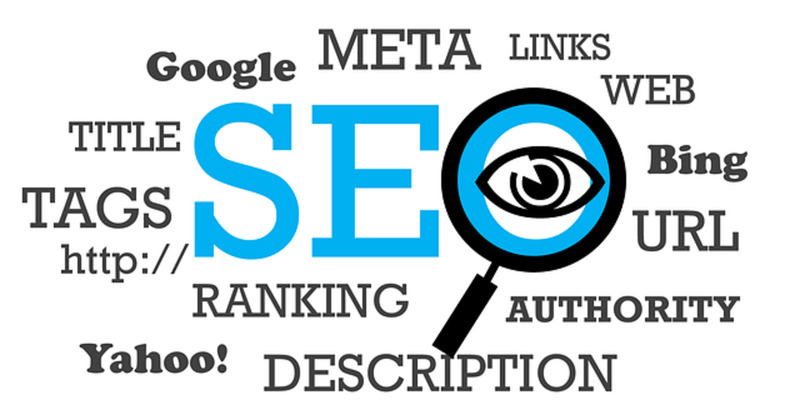 I found these points very useful and keep in mind when I will start seo. Yes you are right. Those are the best tricks. @ Eric - it can seem a daunting task when you start. When you see your rankings climb, it gives you the motivation you need to learn more. Let me know if i can help in any way and thanks for stopping by. I'll try these method for my project! Even though everything you put in the Hub Internet marketers probably already know, we all need reminding to help keep us stay focused. SEO is a straight forward process once you know how and as long as you are aware that it is in a constant state of evolving. Thank you for this article. I am still trying to learn and understand search engine optimization. Not every article I read on it helps. Your article is a great help and has explained some terms and practices that I was clueless about. I will be coming back to this for future reference! Awesome resource! Congrats on the Hubnugget! Thanks Kieran. Appreciate your comments. Glad you found the hub useful. It's always good to check out the latest thinking on SEO, and your Hub has provided a great summary. Thank you for that, and congratulations on your Nugget nomination - hope you win! @ Farmboy - glad i could help! Thanks for your visit. Thanks for the tips. I'm ready to go back linking! Good tips :) All sounds penguin safe too - a lot of sites were hit by that update. For the best backlinking methods you should search for some of Eric Wards articles, he's probably the best link marketing expert out there and has some great articles available on the net. @ Pamela99 - thanks Pamela, and for the kind words on the nomination (i hadn't heard of these nominations before today!). Glad you got something out of the hub and thanks for stopping by. @ Eight8Consulting - Thanks! Glad it was helpful to you. This is an extremely thorough hub on SEO tips. Some items were new information to be, so thanks. Congrats on your Hubnugget nomination. This was some real help on optimizing my website!!! Thanks for your kind words. I only wish i had done more research into SEO when i started out. A lot of back tracking which was considerably more painful. There are some very useful tips here! Thanks for sharing. I know that I struggle with comprehending all of the complexities of SEO, but it is an important thing to understand. Even if it is, as you said, hard to stay on top of.